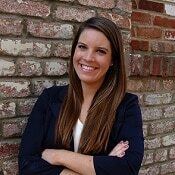 Madeline Jurch is responsible for a variety of legislative and regulatory activities for Infant Nutrition Council of America. Prior to joining the team, Miss Jurch worked at the office of United States Senator Lamar Alexander (R-TN), chairman of the Senate Health, Education, Labor and Pensions Committee. Her government affairs experience includes work at FTI Consulting, Continental AG, and with United States Senator Lindsay Graham (R-SC). She graduated from Vanderbilt University with a B.A. in Public Policy and Managerial Studies.